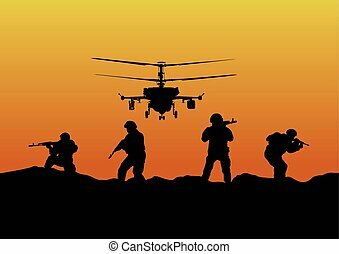 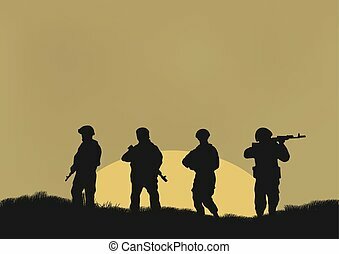 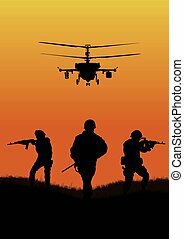 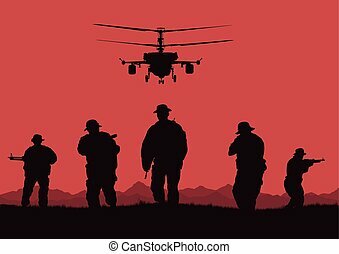 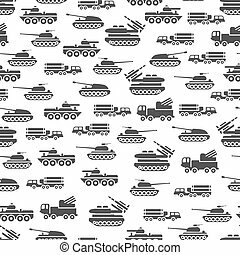 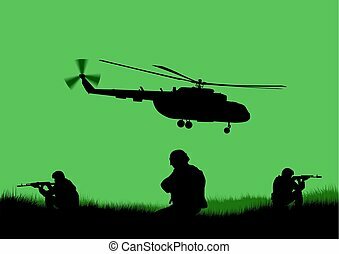 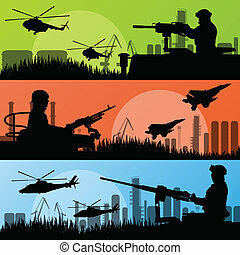 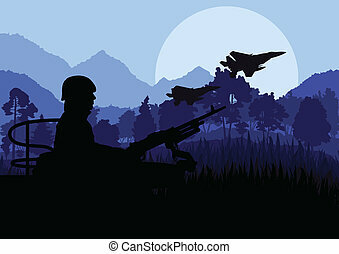 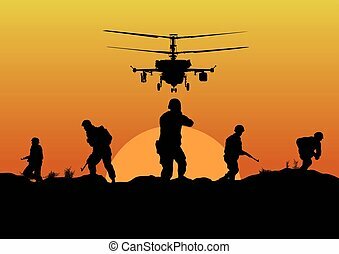 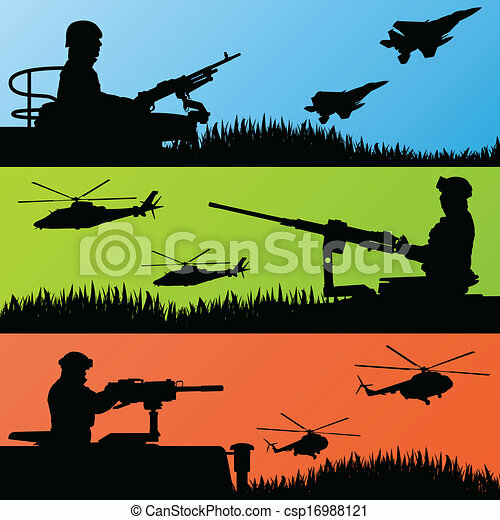 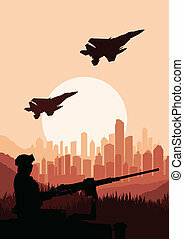 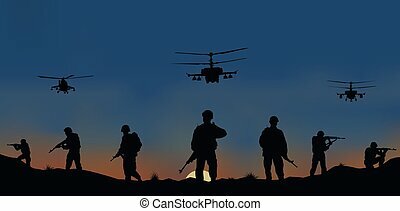 Army soldiers, planes, helicopters and guns background. 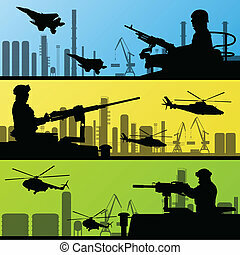 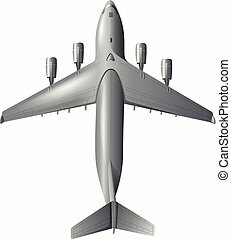 Army soldiers, planes, helicopters, guns and transportation. 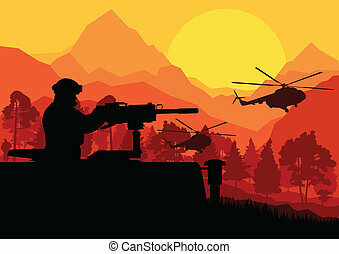 Illustration, the soldiers going to attack and helicopters. 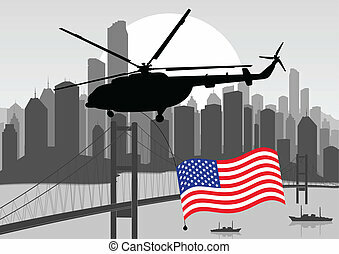 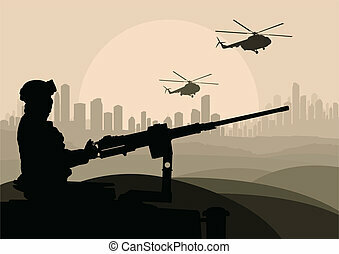 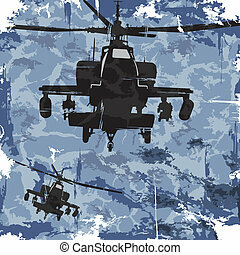 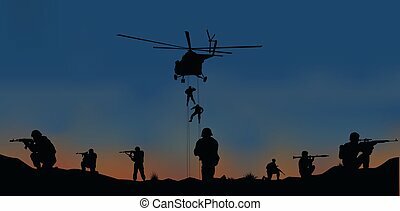 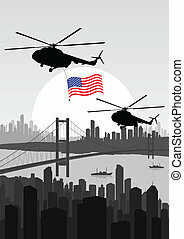 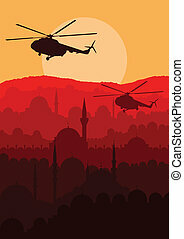 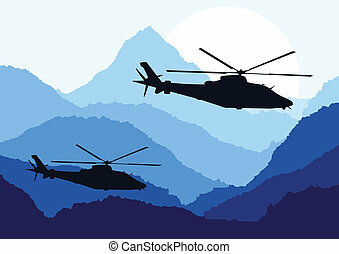 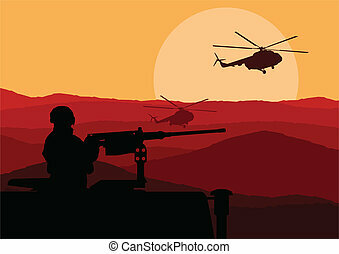 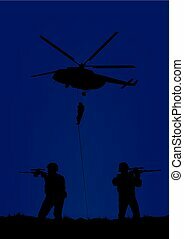 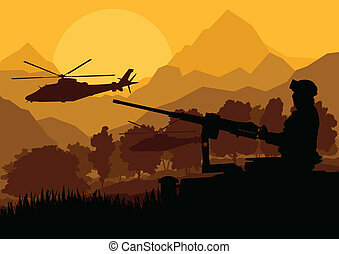 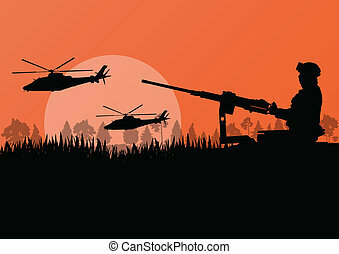 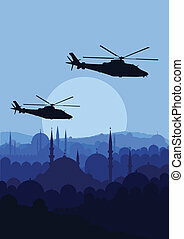 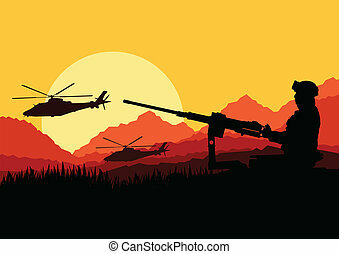 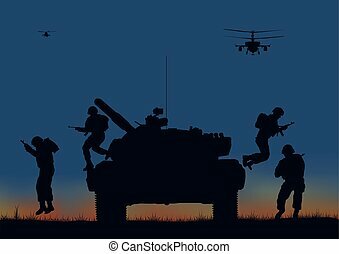 Illustration, the soldiers going to attack and helicopters.. 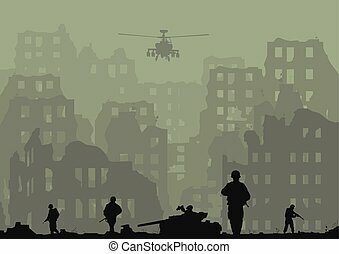 Illustration of the ruined city, exploded tanks, helicopters and soldiers.